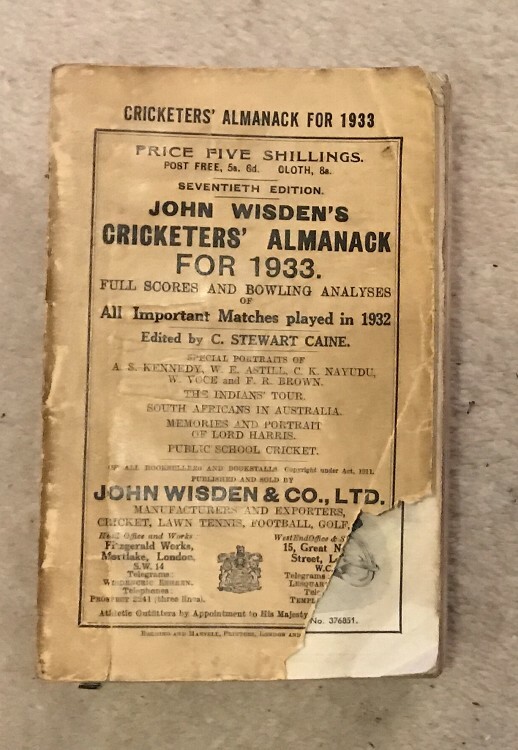 This lot is an Original 1933 Wisden Paperback. This lot is a cheap gap filler as it has heavy loss to the front cover, quite dark covers and one of the photoplates is loose. Internally after a few dark pages it is very nice. Treat as a reference copy but a nice price. Most of the bat bookmark is missing.